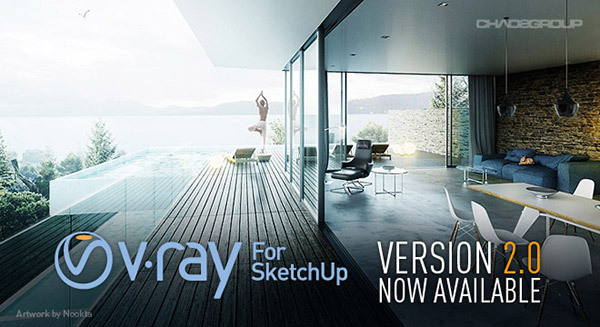 Chaosgroup has announced that V-Ray 2.0 for SketchUp is now available! This is the biggest expansion to V-Ray for SketchUp’s rendering capabilities which will provide SketchUp designers with faster rendering, better lighting tools, and the ability to create and visualize complex scenes. The combination of the V-Ray’s rich feature set and SketchUp’s intuitive tools and interface lets users visualize their ideas with upmost quality and realism. This new version introduces dramatic improvements to visualization workflow (V-Ray RT®), image based lighting quality (V-Ray Dome Light), and a designer’s ability to quickly manage complex scenes with highly detailed models (V-Ray Proxy). 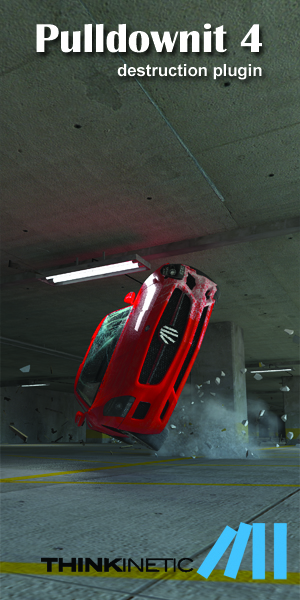 V-Ray RT CPU and GPU - a revolutionary rendering engine providing instant feedback and streamlining scene setup. Because V-Ray RT is built upon the same robust core as V-Ray, it is seamless to transition between V-Ray RT and production rendering. For the everyday user this s a very powerful interactive rendering solution that allows them to simultaneously work and render inside of SketchUp. The instant visual feedback makes for quicker design, material, and lighting decisions. Dome Light - creates simple, artifact-free image-based lighting using the Dome Light. Its powerful importance sampling analyzes HDR images and optimizes light tracing and GI precision. This new feature will streamline your workflow when using image based lighting in your scenes. It will not only save you setup and rendering time but it will also increase the quality of the image based light and shadows. Lights as Components - V-Ray lights can now be part of a SketchUp component, making the process of changing the design and settings of multiple lights at once much easier. V-Ray Proxy - manages scene memory and efficiently renders large amounts of geometry to increase detail and complexity in scenes. V-Ray Proxy objects are dynamically loaded and unloaded at render time, which saves vital RAM resources. V-Ray Material - a new compact and optimized material that includes diffuse, reflection, and refraction parameters with the ability to change the BRDF. Wrapper Material - can be used to specify additional properties per material. Most importantly you can now create true matte materials which show the background as opposed to the base material. VRMats Library - a new library contains an extensive collection of ready to use and photo realistic V-Ray materials. When will this be released for modo? Cmon guys..